High-balance loans exceed the national conforming loan limits for borrowers living in expensive regions of the country. In the U.S., lenders package mortgage loans into investment bundles to sell and lend to both Fannie Mae and Freddie Mac. These two companies, which drive the housing market, provide a secondary market for mortgages. Consequently, Fannie and Freddie have enforced a maximum loan size for all backed loans. Because the US housing market expanded in the last few decades, the loan size limits increased. In effect, Fannie and Freddie created high balance loans, which were vital to markets in Orange County and New York City. The Housing and Economic Recovery Act (HERA) requires that the baseline conforming loan limit is adjusted every year. Hence, the adjustment (for the Fannie Mae and Freddie Mac companies) reflects the change in the average U.S. home price. Recently, the Federal Housing Finance Agency (FHFA) announced the changes in maximum conforming loan limits for mortgages in 2018. According to the FHFA, the house prices increased by an average of 6.80% between the third quarters of the year 2016 and 2017. Therefore, the baseline maximum conforming loan limit was supposed to increase by the same amount this year. In majority of the country, the 2018 maximum conforming loan limit for one-unit properties has changed to $453,100. This is definitely an increase from $424,100 in 2017. In short, it pretty much means that all the counties in the country will have a loan limit of at least $453,100. Due to special statutory provisions, Alaska, Hawaii, Guam, and the U.S. Virgin Islands use different calculations for loan limit. The baseline loan limit in the aforementioned regions are $679,650 for one-unit properties. However, loan limits may be higher in some specific locations. The first change is that gifts or grants can fully fund the down payments. If the loan has an 80% loan-to-value (LTV) ratio or less, borrowers do not have to bring 5% of their funds to the closing. The second big change is especially important for borrowers in cities like Los Angeles, San Francisco, and Boston. Condominium loans do not require two different comparable sales from outside the project or building. This change makes it easier for high-costing cities mentioned above. After all, in high costing cities, condominiums sell for more than the national conforming loan limit. The third big change is that LTV limits have increased. High balance loans allow 95% LTV limits on a fixed-rate loan. In addition, ninety percent LTV limits are allowed for an adjustable-rate mortgage (ARM) because LTV limits have increased. If you are looking to purchase a new home, high-balance loans are the loans that you should look into. We can help you find a mortgage loan fitting your personal and housing needs. 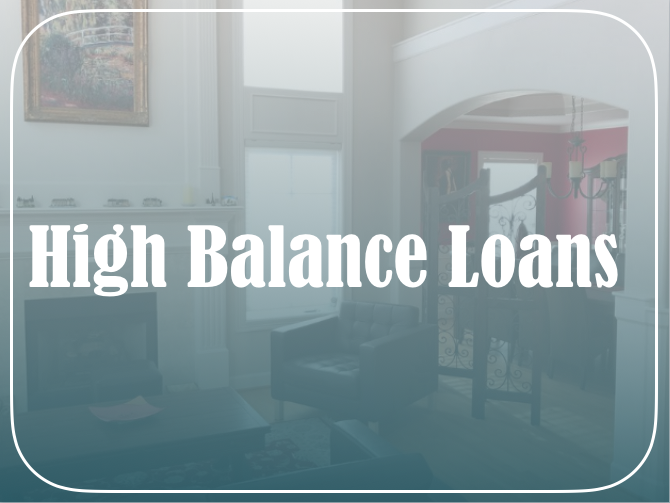 3CALoan has developed comprehensive high-balance loans. Furthermore, our competitive rates, efficient services, and talented team can help ease the process of purchasing a home. We help our customers every step of the way. We like to make sure our clients are well-informed and knowledgeable about what is happening in regards to their mortgage. In short, our excellent quality services are reflected on our client’s happiness and confidence upon closing a deal. To find out more information about FHA loans and how we can help, contact us at (818) 322-5626.